Some of our neighbors here in the City of Los Altos are opposed to allowing the 40-year tenant at Hillview Community Center – Children’s Corner – remain a tenant at the planned new Hillview Center. They object even though Children’s Corner is paying their way in full, paying off of all of the “extra” construction costs over 20 years, and even though the City will own the “extra” 3,000 square foot facility (5,500 including outdoor play) now and always. Council member Jean Mordo estimates the $1.5M of cash reserves the City would would “invest”/spend in 2019 to build Hillview space for the daycare non-profit would return 15% over a 20 year lease. [Here is my old post based on an earlier proposed lower downpayment by the daycare center – estimate 7-9% return]. FAKE NEWS: Some of our neighbors are unwittingly spreading incendiary FAKE NEWS — like that there are 1500 MVLA adult ed senior students a year being served at our current Hillview who will lose service. Not true. See below. OR news like…the City Rec. Director told MVLA there was no space for the program at the new Hillview. Not true. See below. The Nov. 28 City Council meeting agenda included an item which was to vote on whether to approve the 20 year lease agreement with Children’s corner. However, no action was taken because the item was continued to a “date uncertain, TBD. 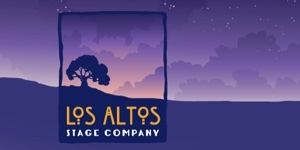 The Los Altos Council hopes to get more information about the city budget forecast and to find possible donors to the new Hillview project. The latest “grass-roots movement” to evict Children’s Corner has claimed that the current MVLA high school district adult ed. classes at Hillview are being terminated because the current Tam & Noll plan for a new Hillview is too small to fit them in. This opposition campaign alleges that some 1500 senior “students” of classes such as Qiqong exercise, painting, knitting, and German conversation now held at Hillview between 9am and 3 pm are going to be left high and dry. This public speaker ran some MVLA class enrollment numbers working for 9 hours and “proved” that not all MVLA senior courses would fit at the new Hillview…at least not between the most popular hours 9am to 3pm. Lalahpolitico: Frankly, some minority of the the anti- Children’s Corner red shirts were so agitated they verbally attacked Council and Manny Hernandez and broke norms of meeting behavior. Another minority of red shirts was very civil and polite though. Jean Mordo says MVLA classes being kicked out of Hillview is Fake News. At the Nov. 28 meeting, Hernandez reminds us he has 20 years of experience building recreation facility schedules for cities. He says current senior-oriented MVLA adult ed courses at Hillview – 9am – 3pm can fit at the new Hillview. He says the vast majority of MVLA courses can be at the new Hillview, though the LAYC might also be used. In either April or May 2017 (their personal calendar records differ, but it is immaterial), Hernandez met with MVLA adult ed director, Keith Moody at his offices in Mountain View on Castro Street. Let’s note that it was not until September 2017 that anything much was known about the real square footage of the new Hillview facility. Recall that the first meeting of the new Hillview Community Center planning committee – aka the volunteer Hillview Community Center Project Task Force — was June 15, 2017. The Hillview Task Force spent a couple of months on process, on reviewing prior City research documents/ and actions and selecting an architect. A “concept plan” for a new Hillview building has slowly emerged only in the last three months. …All parties agree this was the message communicated then at that spring meeting. Mr. Moody says the risk of being shut out at the new building was a big surprise to him that spring. Both Manny Hernandez and Keith Moody agree on what time slots seniors like vs. what adults like/need. The generalization is that seniors like to leave home between 9 to 3 M-F … to avoid the hassle of traffic. They like to eat dinner early and go to bed early. The generalization is that working adults, moms, and kids are at work, working at home, or at school from 9-3. Accordingly, our City Recreation Dept. does not offer much in the way of non-senior activity from 9-3: there is some adult yoga at Garden House in Shoup Park. Lalahpolitico: there will be little or no contention for ANY of the facilities at the new Hillview between 9am to 3pm. The seniors will pretty much have the run of the place! If a stay-at-home mom wants to join any of the MVLA adult ed classes, she can; you just pay a bit more for being under 55. 1500 senior MVLA students a year? It was today that I phoned MVLA adult ed director Keith Moody. Last week he had a phone call with a citizen and shared a year of MVLA adult ed course enrollment statistics at Hillview with her/him. She/he shared the ~10 page .pdf with me and at least one other person. This data is the basis for Mr. Moody telling the citizen in that phone call that the program served 1500 “learners” a year. Sadly, the citizen changed the quote to 1500 STUDENTS a year. Wrong.Ouch. The MVLA adulted program is a “trimester” program. I delved into the Fall 2017 data that was sent. It was clear that the file was a listing of enrollment data per course. For example 38 people enrolled in a morning Qiqong course. A “seat” slot in a course is not the same thing as a student. I asked Mr. Moody about their “counting” terminology there at MVLA vs. the terms used in the universities where my husbands have worked. At a college, an individual who took one or more courses during the year would be called “one student.” The individual is not counted multiple times for each course he takes that year! Mr Moody explained that the data he gave the citizen was for “duplicated learners.” MVLA can also run reports on “unduplicated learners.” That later concept is what most institutions call a student, for that trimester, or for that year, depending on the reporting period. So there was no attempt to mislead by Mr. Moody; let’s say that the citizen made an innocent error and ran with it. Lalahpolitico could have asked MVLA to run the report for “unduplicated learners” for the past 3 trimesters, but I wont’ bother them for that. He retires Dec. 15! Los Altos politico has mapped virtually all of the MVLA Fall courses into rooms at the new new Hillview plan. I could be wrong. The point is its not an awful catastrophe …as has been spread around. It’s fake news that “no MVLA classes will be offered at the new Hillview”. Have you been duped by this mis-information campaign? A public speaker at the Nov. 28 council meeting said he spent 9 hours analyzing the full “MVLA enrollments at Hillview” data, plus the City classes at Hillview. He concludes that though much can fit; some is not going to be accommodated, at least not at the most preferred time, 9-3pm. I agree with him. Lalahpolitico: But can that timing inconvenience ….for at most a couple hundred seniors… be eliminated by not letting Children’s Corner build the City an extra 3000 square feet at Hillview? No. The daycare is paying for all of the 3,000 feet, not the City! It just won’t be built. Lalahpolitico analyzed the Fall 2017 MVLA enrollment 2017 data. I concluded all the major, most popular classes can be accomodated 9 -3pm. Some of MVLA’s small 10 seat enrollment classes – which are are foreign language classes – may need to adjust times/locations. I assume that there is no use of the 4 key rooms at the new Hillview – Movement, Arts, MPR1, MPR2 – by a City run class from 9 to 3pm. This was just an exercise. 1500 MVLA “seats” is how many individuals served a year? At the Nov. 28 meeting, several seniors who currently use the MVLA programs regularly spoke warmly about the role of MVLA in their lives. They spoke of their “community” around the Qiqong classes held in each trimester, year after year. They spoke of their “community” of writers who take the Memoir writing class, trimester after trimester, year after year. They spoke of the “community” who take the painting classes again and again. Obviously, for these seniors, it’s not just about the individual activity, the satisfaction of skill building…it’s the opportunity for socializing with close acquaintances. Perhaps the largest part of the use of non-lounge Hillview classrooms 9 to 3 pm is by nominal set of individuals who enroll continuously each term. Obviously, in terms of the numbers, way, way less than 1500 senior individuals a year are using Hillview “non-lounge” classrooms from 9am to 3pm. For example, suppose each senior individual enrolls in just one MVLA class a trimester, but repeats the class each trimester. 1500 “class seats” a year reduces to 500 distinct individuals served per year. Etc. And judging from the public speakers Nov. 28, of those senior MVLA individuals taking up non-lounge classroom space at Hillview, about half live in Mountain View and surrounding areas. Please realize that the instructors of the MVLA courses at Hillview also give THE SAME COURSES at Mountain View Senior Center. Are you a senior who wants to do Qiqong 4 days a week with the same instructor? Just go 2 days at MV and 2 days at Hillview, following the instructor. How many seniors buy the City’s annual $30-40 senior program membership? Manny Hernandez reports that it has risen from over 200 a few years ago to 420 today. 100 of that growth is attributed to the addition of the Grand Rd. senior program; that means around about 320 senior individuals a year might use Hillview rooms for a lounge or a course. Senior membership entitles a person to a special senior activity newsletter, some activity fee discounts, donation based Friday meals at Hillview, and home repairs volunteer help. 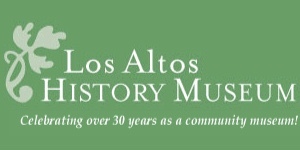 A Los Altos senior membership is not required to participate in City senior activities or MVLA senior courses. No one has estimated the overlap between the yearly 320 City senior program members and the 500 or so MVLA class takers. The closet NIMBYs among us. Why do some people constantly ask for more red tape, more reviews, more process, more steps, more research, more community input, more democracy, more master plans…rinse, repeat, rinse, repeat? It is true that the City has started attempts to improve/replace the old Hillview building MULTIPLE TIMES since 1997. And nothing came of those attempts. Because this is small government jurisdiction, not a private company, everything goes much slower than in the private sector…it’s not that people who do this work for salaries or as volunteers are inept, corrupt or dim-witted. …I am beginning to think these people [closet NIMBYs perhaps?] who are asking for more and more study and more and more community engagement are doing so because they actually don’t want a community center of any kind anywhere near them. If you listen you may also hear them ask for fewer programs, and more “unprogrammed space.” They could be more direct and just say, “Give me a blank, unimproved Hillview park with no visitors and no traffic.” But they don’t want to seem like NIMBYs. Norma Schroder is an economics & market researcher by trade and ardent independent journalist, photographer and videographer by avocation. Enthralled by the growth of the tech industry over the decades, she became fascinated with the business of local politics only in the past several years. Talk to a council member. You won’t know which one will be there – Lynette Lee-Eng, Anita Enander, Jeannie Bruins, Neysa Fligor, or Jan Pepper. But the surprise is half the fun! Copyright © 2015. 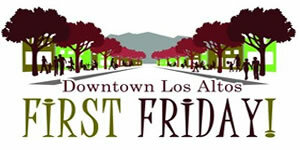 Los Altos Politico.com Powered by WordPress.